The International Search Summit London will take place next week. State of Search will be there to cover the conference. The event promises to be a really international affair, which makes it unique in the search-event-industry. Delegates will hear from Ciu Min, Baidu’s Senior Product Manager for a range of Baidu products including the Phoenix Nest advertising platform – in a rare opportunity to see a Baidu representative at an international conference. Also speaking at the Summit is Eugene Lomize, Head of Advertising at Yandex – who won the Medallion Speaker Award at the International Search Summit Seattle for his presentation on Yandex and the Russian market. Baidu and Yandex, along with Arabic search engine Ayna, will provide insights into some of the biggest and most interesting global internet markets – and the search engines which lead the way in those countries. As host of the Summit Andy Atkins-Krüger says, “These search engines have been developed in and explicitly for the markets they serve and are committed to providing a search service that is relevant, appealing and useful to users in those markets. We can learn so much from them”. Also speaking at the Summit is Inway Ni, VP of Chinese Gaming site 4399.com, which has over 30 million visitors each day and is ranked the 75th most popular site in the world. Inway will be discussing how his website has achieved its success, as well as sharing recommended SEO and SEM strategies for the Chinese market. It doesn’t end there! Other sessions at the Summit include International Reputation Management with Mikkel deMib Svendsen, IP Geo-targeting with Ralph Tegtmeier (aka Fantomaster! 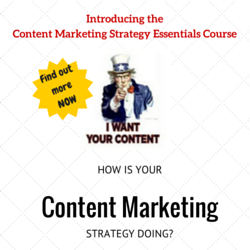 ), Global Social Media Strategies from Massimo Burgio and Marty Weintraub and several international SEO case studies. The full agenda can be found here. This really is an exciting event for anybody involved in international search and social media. 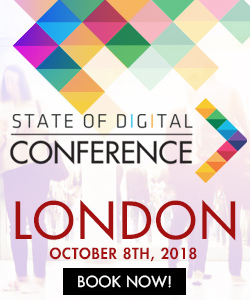 State of Search can offer a 20% discount on tickets for the event, so book now using the code SOS20 and secure your place at the international event of the year!